November 2015- Though there was a chill in the air, the sun was shining brightly and with about a fifteen-hundred foot elevation gain; we could not have had a more beautiful day. There was at least a ten degree (Fahrenheit) temperature difference in the shadows of the canyon walls, which only encouraged me to pick up the pace. I underestimated our hike and was completely taken by surprise how adventurous the trail had become. Frost and snow greeted us as we ascended the giant boulder jutting from the earth. The last stretch of the trail was quite narrow as cliffs dwell on one side, the other, or both. 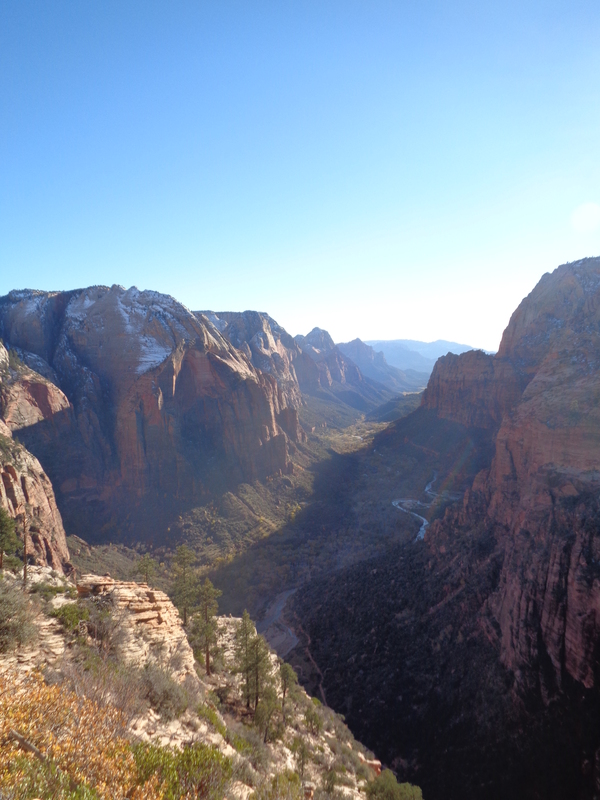 A chain railing was provided for extra security, which I appreciated as I reached Angels Landing. 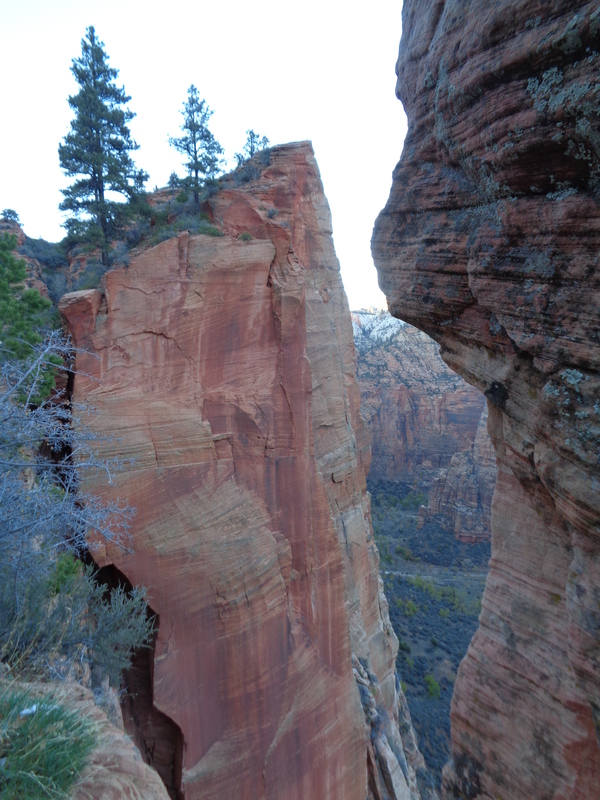 I had recognized the view from popular representations of Zion National Park in the media and as many times as I had seen the image, I had seen nothing. I was captivated by the rusted rocks and how its interior bled out, staining the aged face of the mountainside. Its skin wrinkled, porous, rough, I almost say ugly; yet, that would be wrong. It had character and within the cracks and crevasses was a story, detailed with every groove and bulge. Respecting the elders, I observed and absorbed what was gifted to me at that moment; serenity. A childhood friend and I had miraculously crossed paths in the middle of the Rocky Mountains a few days prior, he was traveling west as I drifted east. I had no plan, itinerary, or any idea what I was doing (nothing new), so I figured I might as well tag along with one of my best friend’s on a journey to Zion. We were lucky it was the low season because Eric spoke of how chaotic his last trip was a few summers past. He said it was a solid, single-file line walking on the spine of the rock formation, everyone grasping the safety chain for dear life, overpopulating the monument completely. 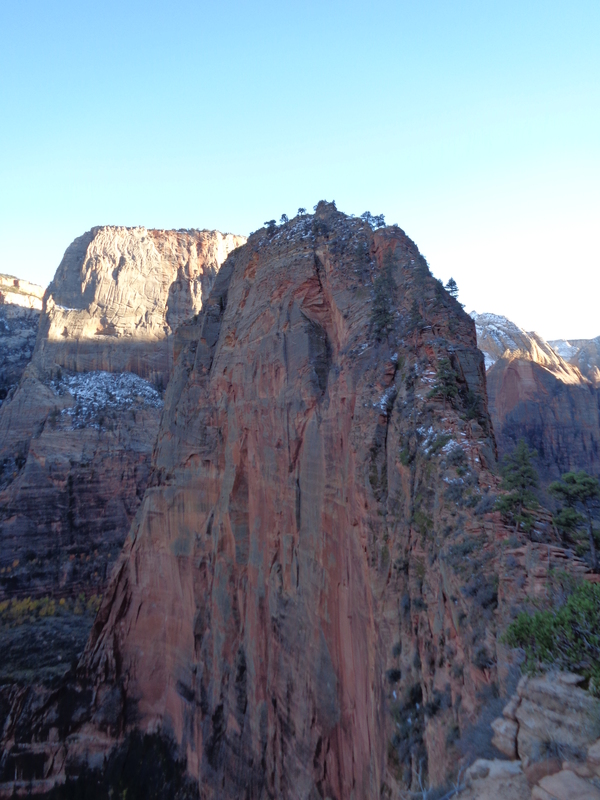 Seeing that the angels are growing on Angels Landing (six people have fallen to their deaths since 2004), I am shocked the hike is open to the public to begin with or that there is not a permit required. I feel that the amount of visitors to Angels Landing should be restricted for the sake of public safety, as well as preserving the trail. Some people tend to lack common sense nowadays, plus, the amount of foot traffic upon such a special and delicate national treasure should be assessed to see how much damage is truly being caused. Those that have participated know exactly what I am talking about and to everyone else who is clueless; we learn something new every day. OMG. Please be safe. Tale good care of one of my favorite grandsons. At the rate you are seeing the world, what will be left by the time your my age. I know there is always great memories. I love you dearly. Gramk.